Something new this year is my Americana list, since I listen to a lot of melodic Americana that really doesn't qualify as power pop. I already push the "power pop" label pretty wide to include a lot of stuff that's not traditional power pop so rather than push it even more, I've opted for this separate list. The Absolute Powerpop Top 100 Albums of 2016, #1-50. Thursday: Top EPs of 2016 & my 20 favorite Americana albums of 2016. There will be links for each of the albums added throughout/later today. 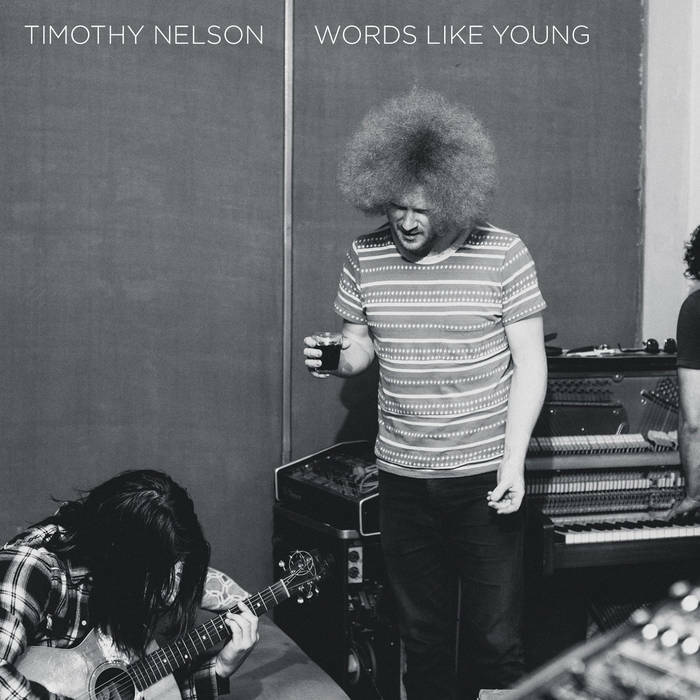 Timothy Nelson-Words Like Young. Aussie Timothy Nelson has been recording for a while as the frontman of The Infidels, who put out a couple of fine rocking records in recent years. On his solo debut Nelson trades in the sometimes raucous rock of his previous band for a more midtempo style that mixes power pop and alt-country to wonderful effect and recalls the likes of countrymen Michael Carpenter, Bob Evans and Bryan Estepa. The opener "Explain" is the perfect encapsulation of this sound, mixing a hooky melody, some pedal steel and a bridge that evokes Big Star. "Living Saloon" gallops along nicely and melodically, while the dreamy "It's a Shame" brings Teenage Fanclub to mind. In a recent review, I mentioned the sub-sub-genre of odes to New York City and Nelson adds one to the canon here with "New York (You'll Never Be Mine)", a country-tinged piano ballad that would make Ryan Adams proud. Throw in the catchy pop of "Darling No" and the anthemic closer "We Never Change", and you have one of 2016's best albums. Kevin Devine-Instigator. 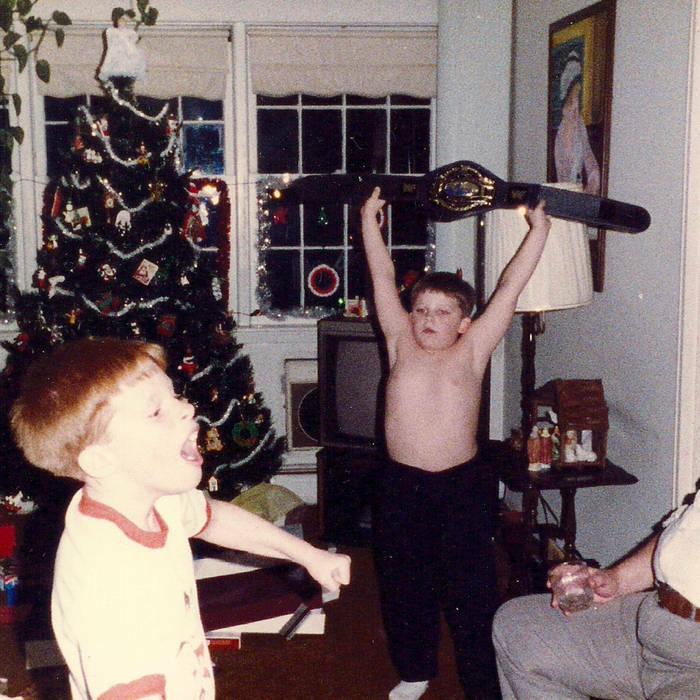 Instigator is Brooklyn alt-rocker Kevin Devine's ninth album (!) but the first that crossed my radar and it's a power pop delight. 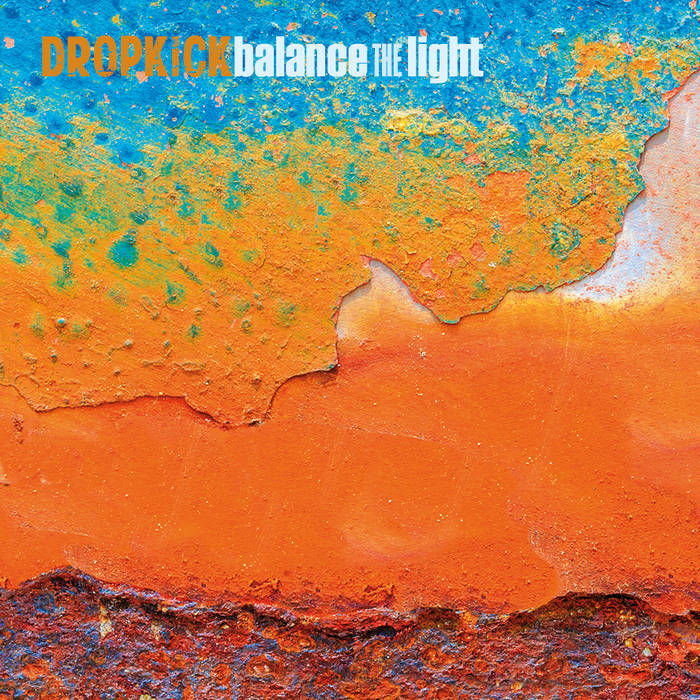 Produced by John Agnello who's worked with Sonic Youth and Dinosaur Jr., you'd expect the album to rock - and it does - but it's also melodic in the style of Matthew Sweet or Brendan Benson. "No Why" blasts out of your speakers to start things off (recalling Benson's "Good to Me" minus that song's distinctive riff), and the crunchy title track follows to keep the momentum going. Other standouts include "Magic Magnet" and "Daydrunk" both of which put the "power" in power pop, and of note is the acoustic ballad "Freddie Gray Blues", which looks at last year's famous Baltimore police custody death with sensitivity to the police (Devine's family is in law enforcement) but doesn't let them off the hook. 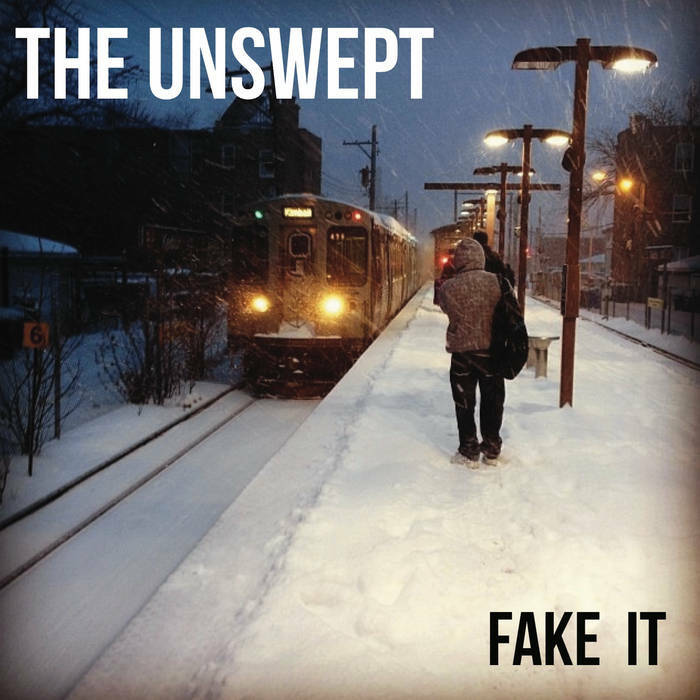 The Unswept-Fake It EP. Could have sworn I wrote about one of this 60s-influenced Chicago band's previous releases earlier this decade but my archives tell me not. So it's time to remedy this oversight by bringing to your attention their new EP, the first new music from the band in a couple of years due to what they term "circumstances far too tedious (and oftentimes ridiculous) to go into" that prohibited them from releasing anything. But with their difficulties behind them, it's great to hear them back with Fake It, a 4-song EP that's actually 8 as it tacks on mono mixes of the 4 new tracks. The title track borrows the riff from "I Feel Fine" and transports you back to Merseyside with its groovy melody while "The Boy Who Wakes You Up" has it roots in the more contemporary, recalling Belle & Sebastian in a way. "She Just Knows it's Over" would fit right in on a Red Button album, and "SALLY" (in all caps for some reason) is 2:26 of catchy. Good to have these guys back. 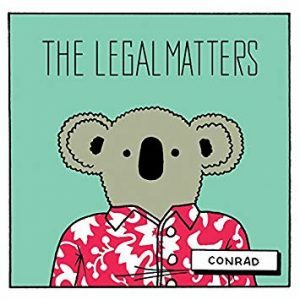 The Legal Matters-Conrad. 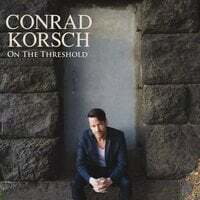 Power pop's Michigan mafia (Andy Reed, Chris Richards, Keith Klingensmith) reunite as The Legal Matters with Conrad, the followup to their excellent 2014 debut. There is a bit of a shift here to a softer pop (as opposed to the classic power pop seen on their individual releases, especially Richards) but it's all very well done. The mid-tempo "Anything" opens the album with aplomb and is featured on a promotional EP the band released on NoiseTrade last month. It's fitting that that EP contained an unreleased cover of a Teenage Fanclub tune since that's the operative sound on this track. "I'm Sorry Love" follows, a slice of baroque pop out of the Jon Brion playbook. Elsewhere, pop gems "Minor Key" and "Short Term Memory" provide a Beatlesque vibe and the plaintive "More Birds Less Bees" recalls Jellyfish when they dialed things back a few notches. Between this album and recent strong releases from Nick Piunti and Ryan Allen, I may have to establish "Michigan" and "non-Michigan" categories for the year-end best-of list. 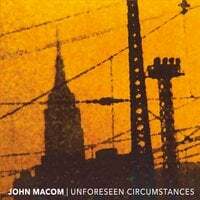 John Macom-Unforeseen Circumstances. John Macom has been around the music biz for a while now, having been in the band Binge, which contributed tunes to TV shows such as Dawson’s Creek, Party of Five and Felicity. Here, the New Yorker goes solo for the first time, and his experience shines through in an auspicious debut that's as pure and smooth as pop gets. Working off the basic Lennon-McCartney guitar pop template, Macom churns out one catchy tune after another - "Hi and Goodbye" reminds me of Cliff Hillis at his best, the languid "Think About You" find him crooning "youuuuu" to hooky effect, and "It's All Coming Back to Me Now" is great Crowded House-styled mid-tempo (but with momentum) pop. And I defy anyone to get the chorus of "Nadia" out of their head. This might be the best debut album I've heard in 2016, and I've embedded the YouTube playlist of the album below so you can confirm for yourself. 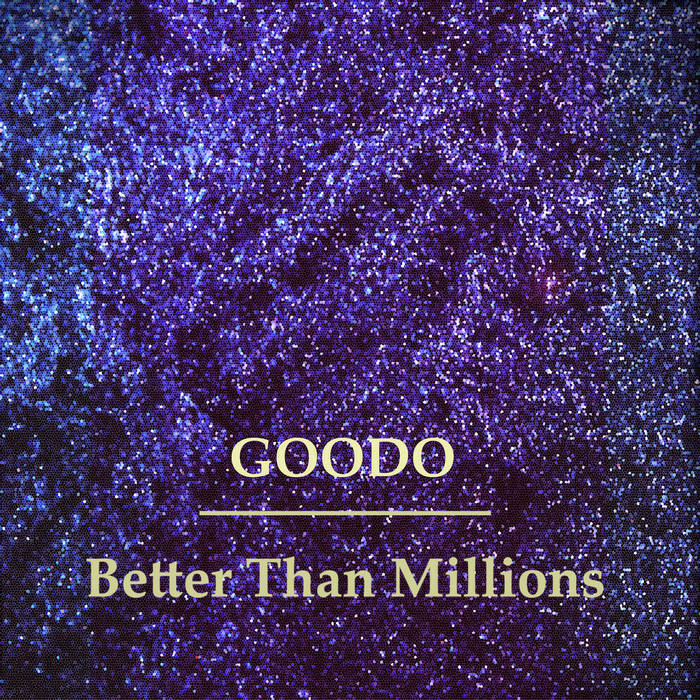 Goodo-Better Than Millions. With their Big Star-influenced sound, Sweden's Goodo obviously takes its name from "The Ballad of El Goodo", but I'm guessing they couldn't use the "El" because that name was already taken. This is 70s-styled power pop with shades of Cheap Trick and Matthew Sweet as well, from the rocking opener "Her Love is a River" to the Raspberries-ish "Jenny" (not the one at 867-5309) to "Line of Fire", which would have fit in snugly on #1 Record. You probably know by now without listening to it if it's up your alley, but if you're still not sure, listen below. Normally I don't write about singles, as often they're just teasers for albums I'll review later or just because I'd rather spend my time on an artist who puts out a full album rather than merely a single. But recently several artists I've featured here before have new singles out, so it's time to round them up in one post in case many of you have missed one or more of them. David Myhr-Spellbound. 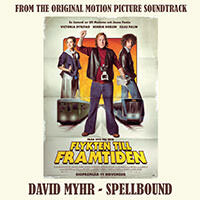 While we're still waiting on the full-length followup to 2012's great Soundshine, the ex-Merrymaker regales us with this brilliant ELO-and-70s-pop-inspired single from the soundtrack of Flykten till Framtiden, a Swedish time travel movie likely not coming to a theater near you. If only Myhr himself could master time travel, he could have released this in 1974 and knocked "Hooked on a Feeling" off the top of the charts. 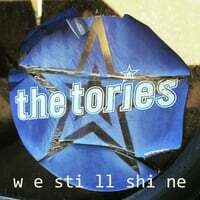 The Tories-We Still Shine. Yes, you read that right - it's The Tories, reunited for their first new music in 15 years. While Steve Bertrand and James Guffee have given us some fine solo albums over this time, it's great to see them back together and hopefully this single is the forerunner of a new full-length album. The new song captures the pop style that allowed them to break out of the "power pop ghetto" around the turn of the century and is worth your time. 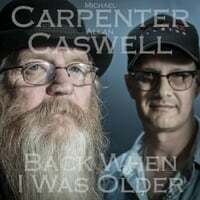 Michael Carpenter and Allan Caswell-Back When I Was Older. For someone who was supposedly retired when he announced that last year's The Big Radio would be his final solo album, Michael Carpenter sure has been busy in 2016. First, he released a new album with The Cuban Heels and now he's teamed with Australian country music legend Allan Caswell for this fine single. The song shares a theme with Dylan's "My Back Pages" ("I was so much older then/I'm younger than that now") and is an enjoyable, catchy country rock tune that's of a piece with Carpenter's Cuban Heels work. 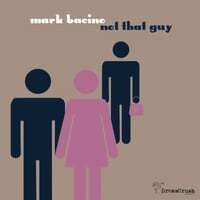 Mark Bacino-Not That Guy. NYC popster Mark Bacino re-emerges for the first time since 2010's Queens English with a wonderful new single that finds him at his melodic best. It's a jaunty, McCartney-esque track that reminds us of how much we've missed new music from him. 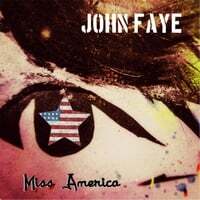 John Faye-Miss America. Ex-Ike guitarist John Faye comes to us just in time for this contentious election season with a track that isn't about a beauty queen but about the state of nation as he small-m miss(es) America. Although the lyrics are social commentary, they're not particularly preachy, and the sound itself is classic Faye - crunchy, loud guitars and a hooky melody. In other words, classic power pop. 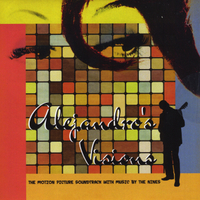 Bubble Gum Orchestra-Sticky Love Songs Vol. 1 and 2. If it's the classic ELO sound you desire, you had to have been excited last fall when Jeff Lynne released a new album as "Jeff Lynne's ELO". It turned out to be fine, but it sounded more like a latter-day Jeff Lynne solo album than ELO in its heyday. This of course meant your next option was to wait for Michael Hildebrandt to release another Bubble Gum Orchestra album. That wait is over, as not only is there a new BGO album, but there's the equivalent of 2 new albums as Hildebrandt has gone Out of the Blue here with the 20-track Sticky Love Songs Volume 1 and 2. With 20 tracks to play with, Hildebrandt spreads out a bit here. Of course you get the vintage ELO sound in tunes like "You Called to Tell Me" and "My World Blue" (a Jeff Lynne title if there ever was one), but you get the straight-up Beatlesque "Peppermint Smile", the more rocking "You Gave Up on Love" (with guest vocals from Lannie Flowers), and even some acoustic guitar on the acid love song "You're Not the One That Got Away". Closing it all is the self-referential "BGO Motel", a track as catchy as it is clever. You won't find this at the usual sites, so click on the link below to listen and purchase. 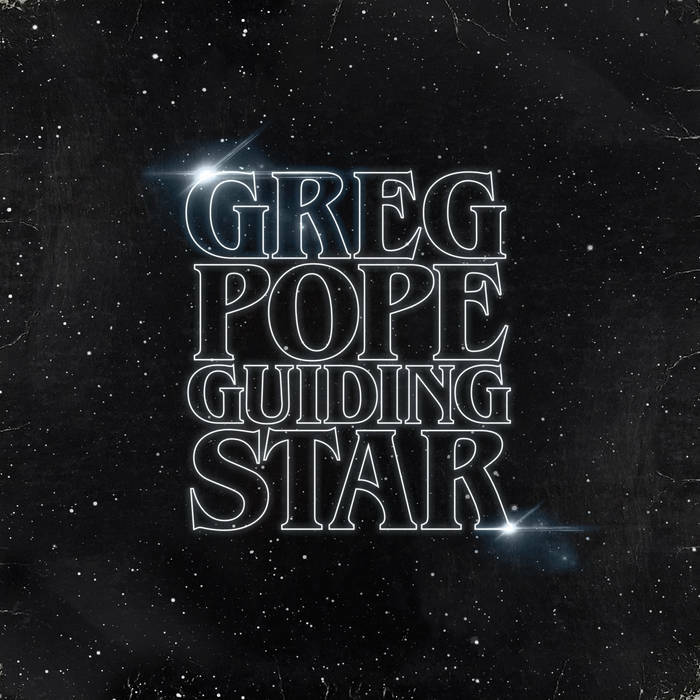 Greg Pope-Guiding Star. The man I named the Pope of Power Pop is back with his sixth full-length solo release (not counting the Pete EP and his best-of compilation) and once again he's delivered another fine collection of southern-fried power pop. Featuring a Stranger Things-inspired cover, Guiding Star demonstrates why Pope is the one of the more consistent artists in the genre. Opener "Innocent Breakdown", with its nervous, insistent beat shows Pope (a one-man band who can drum with the best) isn't content to sit on his laurels, while "Four Leaf Clover" lashes at the singer's dudebro ex in service of a catchy chorus. Elsewhere, "Sun is Gonna Rise" rocks with gusto, the acoustic guitar-based shuffle "I Think Not" is classic Pope, and "If You Want Answers" may or may not have them, but it's a great listen and could have been a hit in another era. No longer the "company man" he was back in his Edmund's Crown days, Pope is now older and wiser and Guiding Star is as humanistic as power pop gets. Ryan Allen & His Extra Arms-Basement Punk. 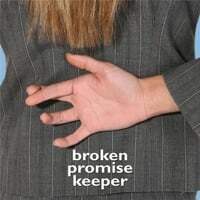 Every time I turned around there's another great new release from the Michigan power pop scene. Last time out it was the latest from Nick Piunti and today it's Ryan Allen and His Extra Arms. (Next time it may be The Legal Matters, who have a new one out in a few weeks). 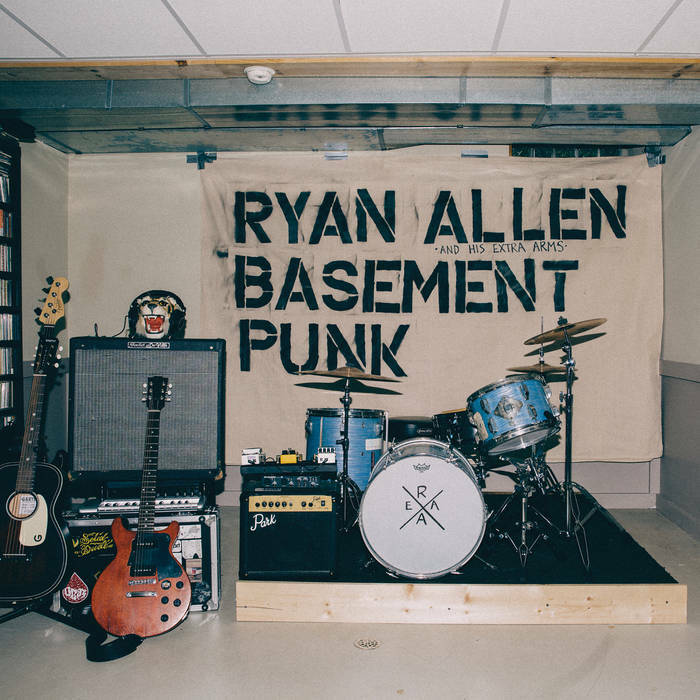 Basement Punk is Allen's third album and builds off the promise of last year's Heart String Soul. "Watch Me Explode" is the kind of frenetic rocker that's perfectly situated as the album opener, and "Chasing a Song" is a brilliant bit of pop in the vein of Big Star. "Mal n' Ange" is another winner, sounding like an early-70s English classic rock track complete with guitar solo between the second and third verses, while "Gimmie Some More" is a fun "In the Street"-style rocker. Between the Greg Pope album above and this one, it's a great time for one-man bands. Nick Piunti-Trust Your Instincts. 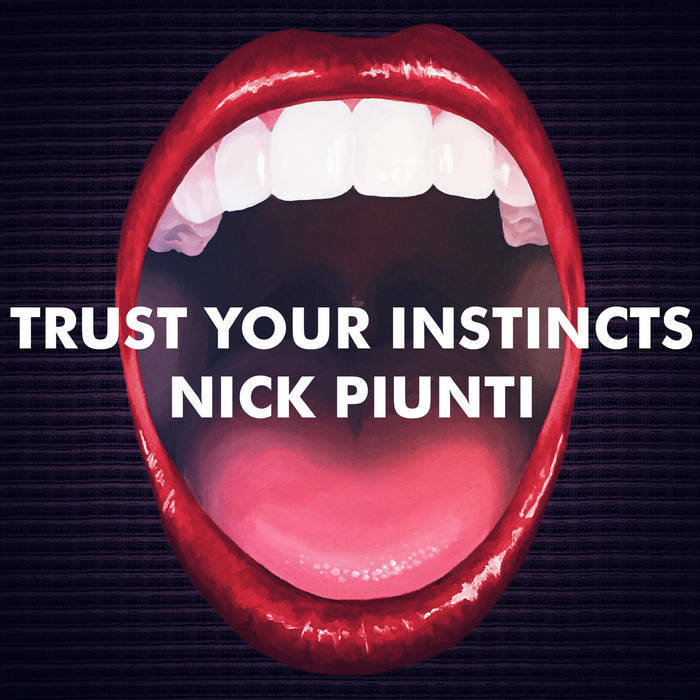 One of 2016's more anticipated releases in the power pop community is finally out, as Nick Piunti stays on his new album every 18 months schedule with Trust Your Instincts. 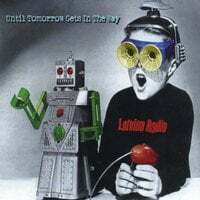 Piunti, whose last two releases finished #2 and #6 in my year-end lists, bids for the top 10 again with another insanely catchy collection of power pop tunes. There aren't really any ballads here, but the one difference between this one and the last two is that the tempos have slowed just the slightest. The opening title track is a typical Piunti barnburner, and "One Hit Wonder" rocks as well (someone let Piunti have a big hit so he can be the subject of this song), while "Blame in Vain" and "Dumb it Down" are wonderful midtempo tunes. Elsewhere, "Ready for Whatever" and "This Ain't the Movies" would have been spun by Casey Kasem in a Top 40 Countdown in 1978, and the Gin Blossoms-esque "Stay Where You Are" closes the album with some acoustic guitar prominent in the mix. As usual, Piunti is backed by fellow Michiganders Andy Reed and Ryan Allen (who has a new album of his own out in a few weeks) to fine effect. So trust your instincts on this one, and pick up a copy starting tomorrow. 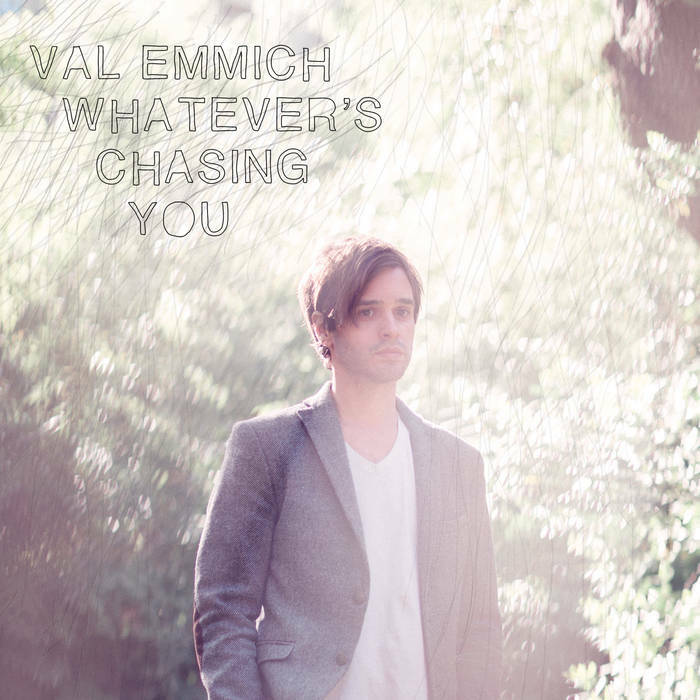 Val Emmich-Whatever's Chasing You. New Jersey's Val Emmich is probably better known to you as an actor, even if you don't know him by name. He was Alex on HBO's Vinyl, Liz Lemon's coffee-boy fling on 30 Rock, and was in four episodes of Ugly Betty. 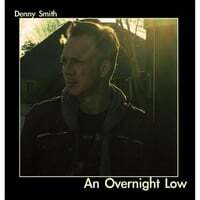 He's also a fine musician with several albums under his belt and it's his latest here that grabbed my attention. With a sound that recalls Pete Yorn, Ben Kweller and even Tom Petty, Emmich's tunes are radio-friendly. While "I Want to Hang Out" and "Nobody Makes it on Their Own" are a fine 1-2 opening punch, it's "Slow Connection" that won me over with country/roots-influenced chorus that reminds me a bit of Chris Isaak. Other standouts include the Americana-tinged ballad "Almost Lost You" and the spare pop of "I Shouldn't Bother". You can check this one out while I dig into his back catalog. 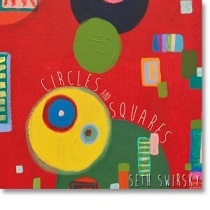 Seth Swirsky-Circles and Squares. Seth Swirsky is back with his first collection of new music since 2011's Red Button album, and it might just be his best since the first Red Button album from 2007, my #1 album of that particular year. Between his solo and Red Button work, Swirsky has established himself as one of the premier Beatlesque artists, but one who evokes their sound (primarily on the McCartney end) without slavish imitation. And it's not just the Beatles - Swirsky incorporates flourishes that recall Brian Wilson and Burt Bacharach as well and that's apparent on the dreamy opener "Shine". The playful title track follows with some McCartneyesque melodies before its calmer ending, and the midtempo "Old Letter" is as comfortable as an old pair of shoes and features a killer countermelody. Elsewhere, the stately piano ballad "Far Away" would have topped the charts in 1970, "Trying to Keep it Simple" is a gem that includes the line "I don't have to be a Beatle", "Belong" is guitar pop of the first order and "Table" breaks out the Rickenbackers for some top-notch jangle pop. Finally, while "I Don't Have Anything (If I Don't Have You)" treads the familiar ground of songs that state material goods mean nothing without love, here Swirsky gives his status as one of the country's top baseball memorabilia collectors a shout-out. Clocking in at a generous 16 tracks, Circles and Squares pretty much is guaranteed a slot in 2016's top 10, the question being just how high. 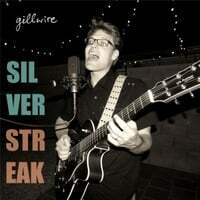 Gillwire-Silver Streak. Gillwire is Arizonan J.G. Thwaits, and he's crafted an impressive debut album that mixes power pop, classic rock and indie pop with the common thread being his sense of melody (He calls it "retro-alternative pop", which is a good a description as any). The title track (and opener) is a clever tune that's equal parts Beck, Cake and Dean Friedman, the gentle, lilting "Find Me a Movie" finds itself in McCartney/Neil Finn territory, "Big Win" boasts a beats-based melody, and "Sand in My Pockets" is the most power-popping track of the lot. While this is a debut album, Thwaits sounds as though he's been around the melodic block a few times before. 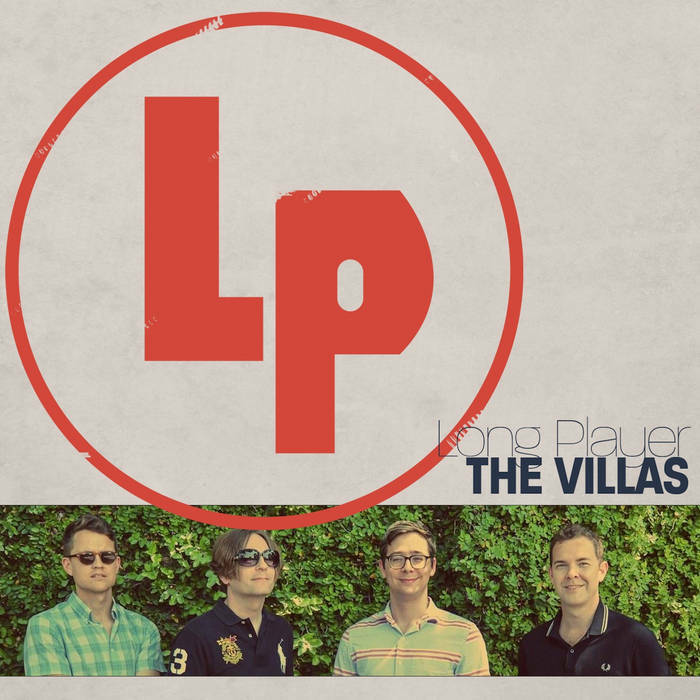 The Villas-Long Player. The Villas hail from Austin, TX and have been around since 2011 and I'm wondering how it was just now with this release I'm hearing of them. Better late than never as Long Player - their appropriately-titled full-length debut after some singles and EPs - is a fine example of Britpop-flavored (or should that be "flavoured"?) sound. The opening title track and "Never Had a Morning" go by in a Blur (pun intended), while the languid "Julie" just sounds cool, and "Natural Selection" and "Eva" rock with melodic abandon. A catchy-as-hell summer album if there ever was one for 2016. Today's post features a common theme: Known artists with new releases under a different name. Look Park-Look Park. Look Park marks the solo debut of sorts for Fountains of Wayne's Chris Collingwood, who teams up here with famed producer Mitchell Froom for a collection that isn't quite a FoW album by another name. So instead of the power pop of "Stacy's Mom" or "Radiation Vibe", Collingwood and Froom employ more of a laid-back, contemplative sound. This doesn't mean the catchy melodies are gone - single "Aeroplane" and the wonderful (and appropriately-titled) "Breezy" display the songcraft we've become familiar with over the years. But where FoW had the guitars front and center, Look Park's signature instruments are the keyboards, primarily piano. In fact, tracks such as "I'm Gonna Haunt This Place" and "Minor is the Lonely Key" bring the bedroom pop of another Froom collaborator - Neil Finn - to mind. So as long as your expectations aren't that this is that latest FoW album, you should have no problem enjoying it on its own pop-friendly terms. 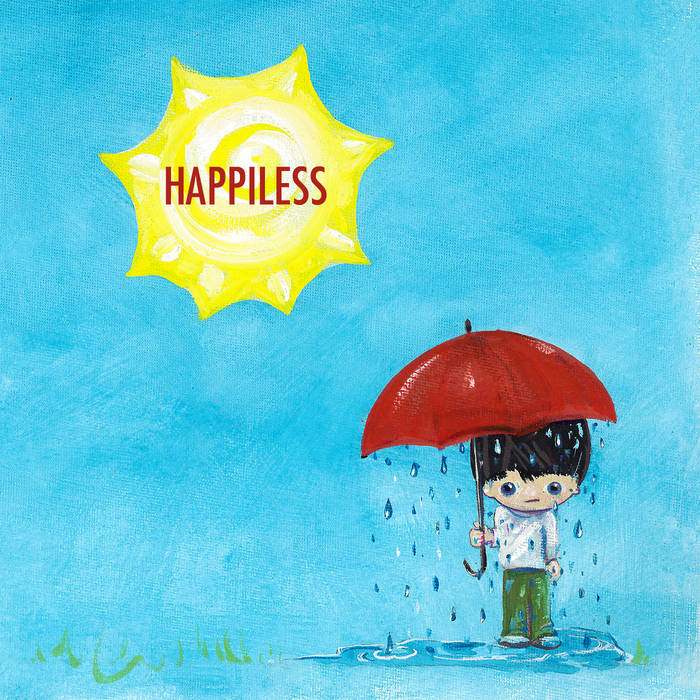 Happiless-Happiless. Regular readers will known Mike Benign of the Mike Benign Compulsion, and here he teams up with Allen Keller as Happiless. Benign hails from Milwaukee and Keller Los Angeles, so they collaborated long-distance through email and other electronic means to create the album, and the result is a mix of top-notch power pop and mildly baroque pop. The advance single "Sleepyhead" has a Michael Penn feel to it, "Hopscotch Town" is as bouncy as its title would imply, and "We Let Our Story Tell Itself" and "Stranger to Yourself" sound like classic Mike Benign. So let your goals be life, liberty and the pursuit of Happiless. 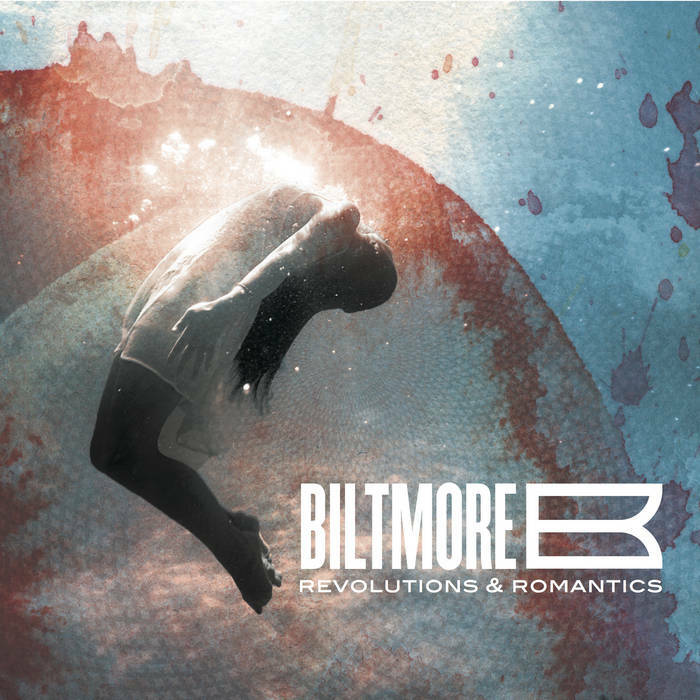 Biltmore-Revolutions and Romantics. Another familiar name with an unfamiliar new band name is Phil Ayoub, who put out a couple of fine solo albums in 2006 and 2010 and here re-emerges as Biltmore. Those who enjoyed those albums will want to pick this one up as it continues Ayoub's bright, radio-friendly pop/rock stylings. The top examples of such are driving opener "Never Let You Go", the swirling melody of "Neon", the heartland rock of "Las Vegas Blue" and "Going Out" (which sound like lost hits from the heyday of late 90s alt-pop), and the anthemic Brit-pop sounding "Stars in the Attic". A welcome return. 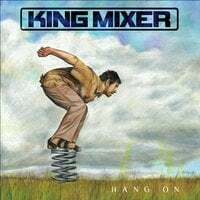 King Mixer-Hang On. King Mixer is Chicago's Eric Howell, whom some of you may remember from his Greatest Hitch, Vol. 1 debut in 2008 (which itself was a culmination of a 15-year career in singing/songwriting). This time around, King Mixer may be an appropriate moniker as Howell provides us a mix of pop, rock, power pop and Americana with the common denominator being quality melodies. 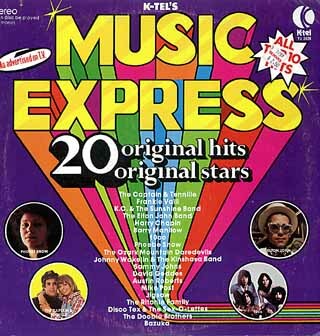 Standout tracks include "Let it Go", Cheap Trick-styled power pop you'd find on a 45 on your record player in the days gone by; the Beatlesque staccato guitars of the catchy "Back to You"; the 70s-influenced midtempo piano number "Somethin' Else", and the pure pop of "One Too Many". Also seek out the single "45" which can be found at his Bandcamp page. Ryan Krga-A Testament EP. One of 2016's more promising debuts is this 3-song EP (maxi-single?) from another Chicagoan, Ryan Krga. All three songs are top-notch here: "What Makes Me Blue" is fine guitar pop that has a bit of a Guided by Voices feel; the moody "She Gets Results" channels Michael Penn; and the title track wouldn't be out of place on a Teenage Fanclub record. Can't wait to hear more from Mr. Krga. 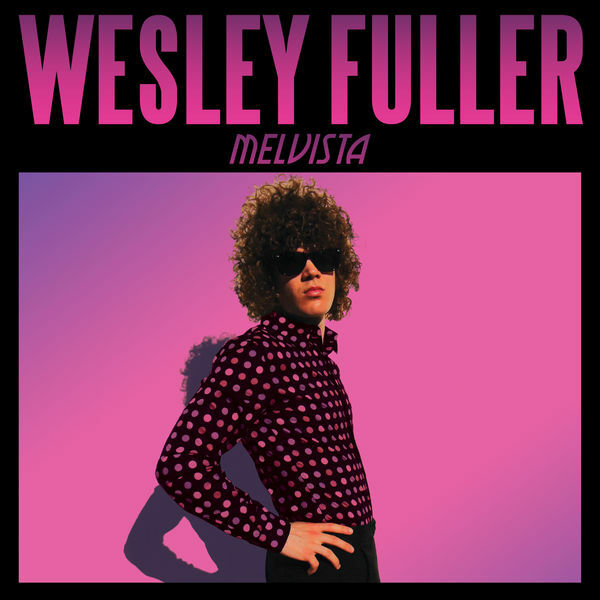 Wesley Fuller-Melvista EP. This young Aussie brings the glam and power pop on a rocking 5-track EP. "Change Your Mind" borrows the underlying beat from Gary Glitter's infamous "Rock and Roll Part 2", the title track is unadulterated sunshine pop, "Shock Me" is both guitar pop and dance pop at the same time, and "The Dancer" would sound right at home between "Ballroom Blitz" and "Little Willy" on a Sweet mixtape. Justin Levinson-Yes Man. 10 years. That's how long Absolute Powerpop has been around, and that's also how long it's been since Justin Levinson debuted on the power pop scene with 1175 Boylston. The debut was Ben Folds-styled piano pop and since then he's veered into alt-country and most recently a bit of light soul-inflected singer-songwriter pop with 2012's This Side of Me, This Side of You. Now with Yes Man, Levinson has come full circle with his most straight-up pop album since his debut. Opener "Together Forever" is a bouncy confection that's well-timed for summer; the title track is a Beatlesque romp, and the waltz-time baroque pop of "Safety in the Rain" recalls Jellyfish. Elsewhere, "Broken Heart Running" is the type of piano-based pop found on the debut, and closer "Colleen Compassion" evokes a lost Ben Folds track in both sound and title. In all this is one of 2016's best so far as even the tracks not noted here are worthy of note. The tenth anniversary truly can be the sweetest. 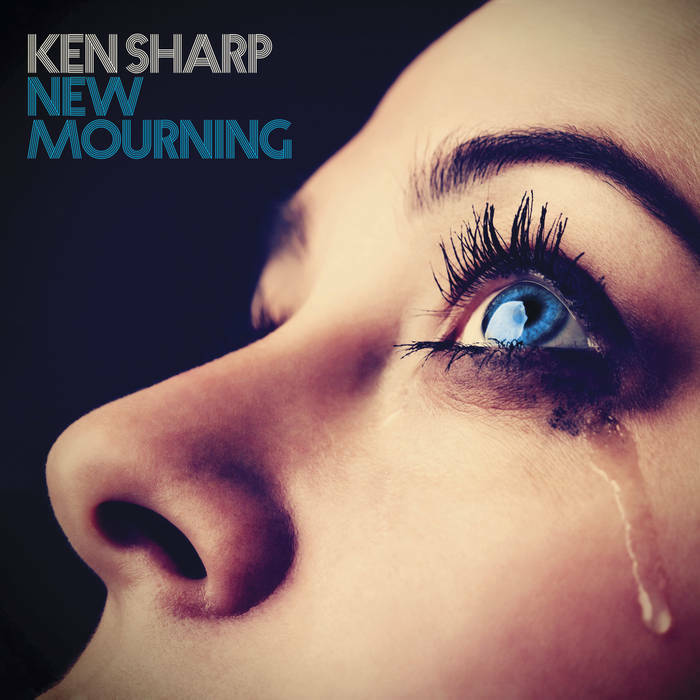 Ken Sharp-New Mourning. Speaking of 10-year anniversaries, it's almost been that long since Ken Sharp's last album, 2007's Sonic Crayons, which at that time was his first album in seven years and which came in at #13 on my best-of-2007 list. So it's a bit of an understatement to say this album was long-awaited, and it doesn't disappoint. Of course Sharp has an excuse for the delays between albums - when he's not recording, he's writing and writing prolifically about music with 18 published books to his credit including a series titled "Play On! 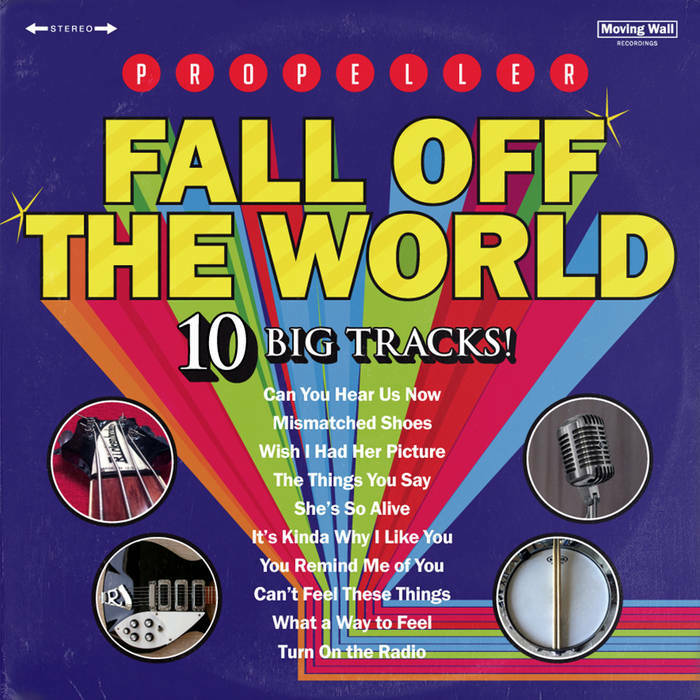 Power Pop Heroes" which chronicles the leading lights and forerunners of the genre. And if Sharp's going to keep putting out albums (however infrequently) like New Mourning, he's going to be worthy of a chapter of his own as his latest is his best and most consistent. From the classic power pop of "Dynamite & Kerosene" and "Let's Be Friends" to the Motown-influenced "Solid Ground" through the 70s MOR balladry of "L.A. Can Be Such a Lonely Town" and the string-laden closing power ballad "Loser", New Mourning is 14 tracks of solid gold and also a clear contender for Best of 2016. 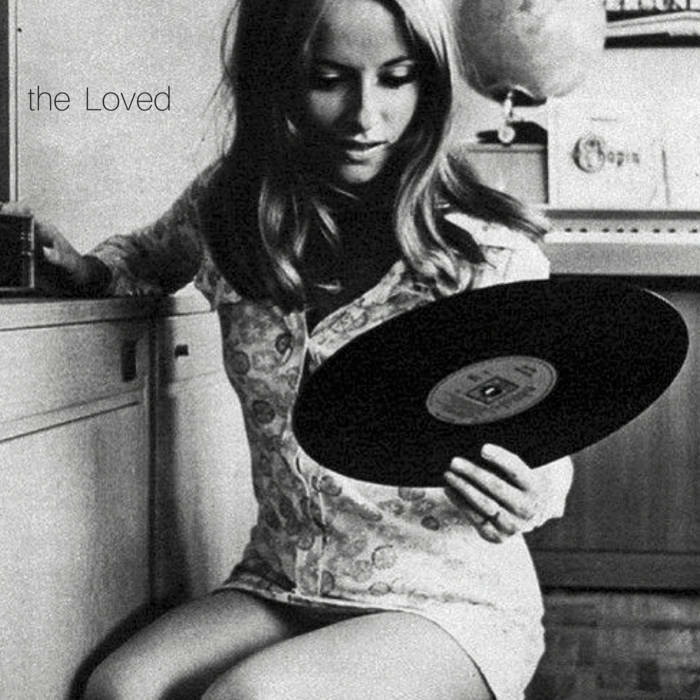 The Loved-The Loved EP. The Loved are a three-piece band from Portland, Oregon who push all the right retro buttons on their debut EP, right up to the album artwork. Dense guitars and a languid melody make for a great combination on the first single "How Do You Fall in Love", while the midtempo "Sun Moon Stars" features a hypnotic vibe and "Lost at Sea" rocks with "three chords and the truth", as the band described itself in their Facebook bio. Give it a listen below, and it'll be Loved by you as well. 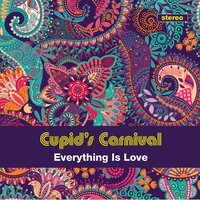 Cupid's Carnival-Everything is Love. This London band appears to have sprung up out of nowhere - I can't find a website, Facebook page or anything else for them. Given how Beatlesque they sound, perhaps the Fabs have resurfaced in the lowest-key way possible (remember those Klaatu rumors from the late 70s?). OK I know that's ridiculous but whoever they are, they've dropped the best Beatles-influenced album of 2016 to date on us with Everything is Love. It opens with the McCartney-esque "Girl" complete with Harrison-like slide guitar, "Working Girl" has a driving melody, and "I Was the Boy" drifts into psych-pop territory. There's even a cover of "A Whiter Shade of Pale" here. But the real fun comes at the end with the title track, a Lennon-styled ballad that sounds like a Beatles outtake, and "Sunny Days", the latest variation on "Mr. Blue Sky". Whoever these guys are, they should take a bow. EDIT: As helpful commenter Rick notes below, some of these tracks were released in 2008 under the band name Cherrystone (which in fact I reviewed on these pages). So before you buy, check the recesses of your mp3 collections - you may have some of these songs already. 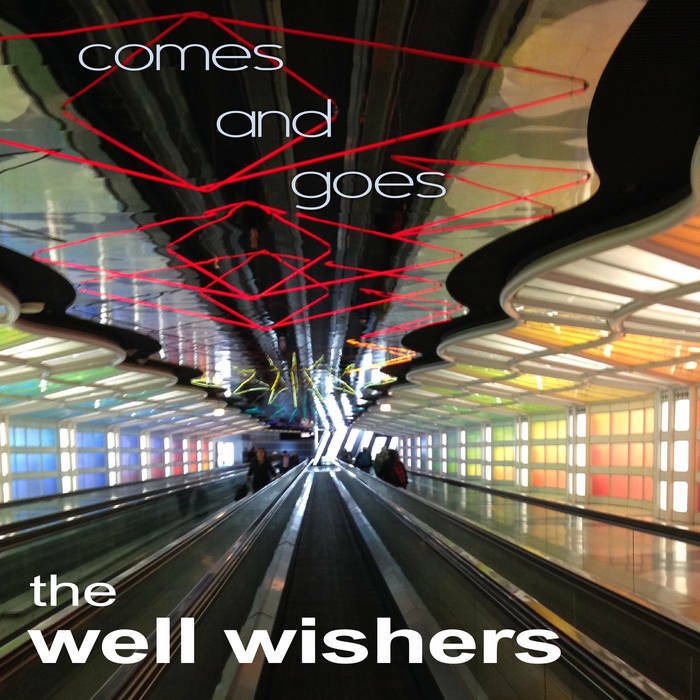 The Well Wishers-Comes and Goes. I believe this is Jeff Shelton's eight full-length album as The Well Wishers (plus an EP), and they've all been so consistently good that I've just about run out of things to say about them. So in other words this is less a review and more of a notification that there's a new Well Wishers album out there you need to pick up. The differences between this one and the others is slight; it's a bit more consistently rocking than 2014's A Shattering Sky. "Impossible to Blame" opens the album and from the first few notes you know you're listening to The Well Wishers, while "It's On" has a classic AOR sound to it. Only "In Love With" and "Nobody's Dancing Alone" slow things down a bit from the norm, and the closer "Nature's Son" belies its pastoral name with some of the hardest rock Shelton's undertaken. But as I said, it's a new Well Wishers album - you really don't need me to describe it. Bill Lloyd-Lloyd-ering. Nashville's Bill Lloyd is essentially one of power pop's elder statesmen, a songwriter's songwriter who's written for some big names over the years, been one-half of the great 80s duo Foster & Lloyd, did a one-off album with The Spongetones' Jamie Hoover, was part of the power pop supergroup Swag and released several outstanding solo albums this century. Many of my readers probably know this already, but somehow this is the first time I've featured one of his releases here so I'll pay him his proper respects. 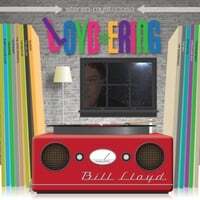 Another thing Lloyd is known for is his penchant for covers, and it seems as if there hasn't been a tribute album in the power pop community that he hasn't contributed a song to. Lloyd-ering is an attempt to collect these scattered covers (many of which are out-of-print) in one collection and even though it misses a few, this is an excellent 12-song sampler. He leads off with the Bobby Fuller Four classic "Let Her Dance" (also memorably covered by Marshall Crenshaw), captures the spirit of the Byrds with "The World Turns All Around Her" and gives John Lennon a run for his money with his version of "Across the Universe", among others. My only quibble is that "When Time Stood Still" from the Jeff Lynne tribute Lynne Me Your Ears was omitted, but maybe that'll be on the Lloyd-ering box set someday. 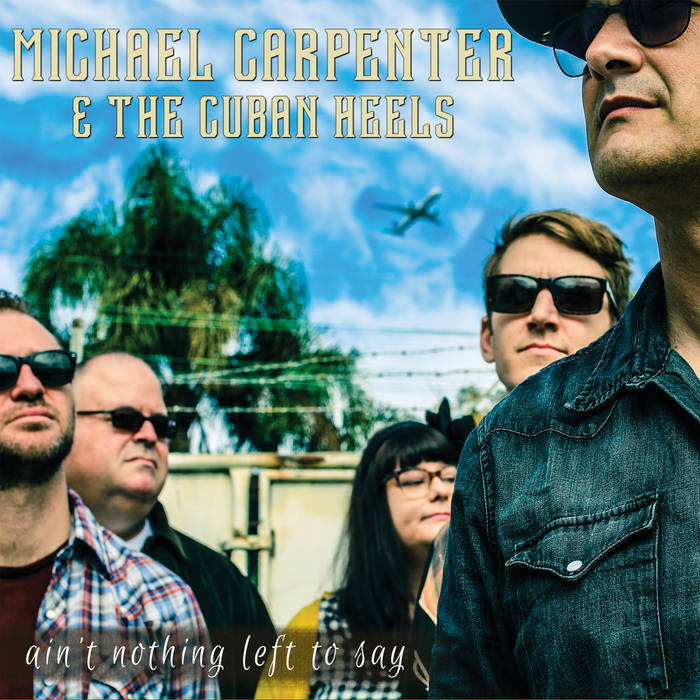 Michael Carpenter & The Cuban Heels-Ain't Nothing Left to Say. When we last left Michael Carpenter the previous autumn he had released our album of the year, The Big Radio, which was billed as probably his last solo record. But that doesn't mean we've heard the last of him, and a scant seven months later he's returned with The Cuban Heels, his rotating band of fellow Aussie pop/rockers including Russell Crawford, whom we've featured here in his own right. The difference between a Cuban Heels album and a proper MC solo joint is that he turns to a more alt-country/Australiana sound but his gift for melody and the catchy tune isn't diminished by addition of some twang or pedal steel. In fact, the title track with its "na na, na na na na" backing would fit right at home on one of his pop albums, and "Photo" is more power pop than country. Still you do get some twang here (which in my book is welcome) with "I Should Have Told You" and "Wasted Years, Wasted Time". I could go on, but this is new Michael Carpenter music. I don't need to tell you it's worth a listen. 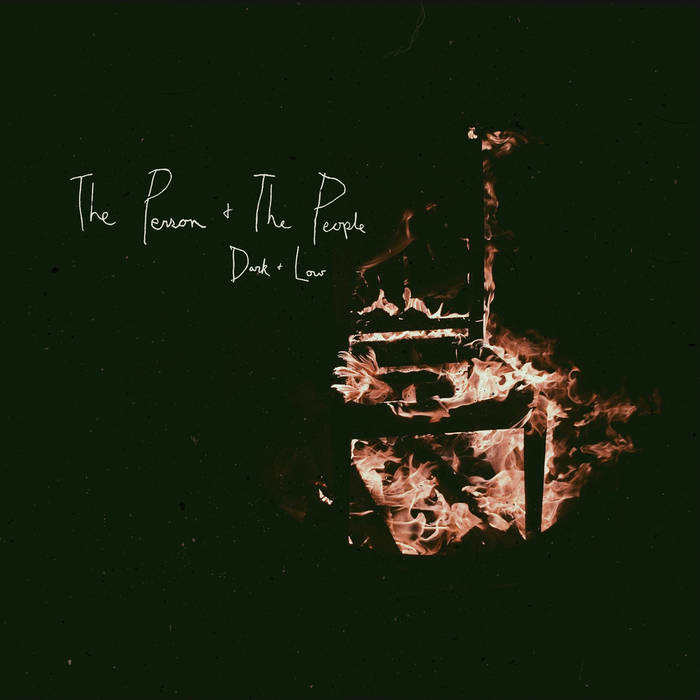 The Person & The People-Dark & Low. This Minneapolis band has been kicking around the better part of a decade and Dark & Low is their fourth release in that time so it's long past time I mentioned them on these pages. Their sound is highly melodic indie rock, and although they mention Ryan Adams and Weezer as RIYL artists on their album page, I hear more Teenage Fanclub as covered by Superdrag. Anyway, it's an interesting brew and this album features such gems as the almost-jangly "Hot Summer Nights", the 2:08 burst of "Sleep All Day" and the crisp rock of "Until the Morning". And after you get into this one feel free to dive into their back catalog, which is quite good as well. 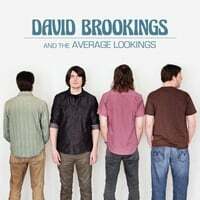 David Brookings & The Average Lookings-David Brookings & The Average Lookings. Also back on our pages again is David Brookings, who this time bills himself with his backup band The Average Lookings. This is his seventh album and another great collection of his jangly, breezy west coast pop. Crediting the backup band here is appropriate as Brookings has a fuller sound here, heard on tracks such as "Time to Go", "The Optimist" and "You're Right, it Went So Wrong", which are Grade-A power pop. Also of note is the alt-countryish "I'm in Love With Your Wife", which considers the famous George Harrison/Patti Harrison/Eric Clapton love triangle, and the shiny pop of "Place We Can Go", perhaps the quintessential David Brookings track. They may consider themselves "average looking" but this is some pretty handsome pop. 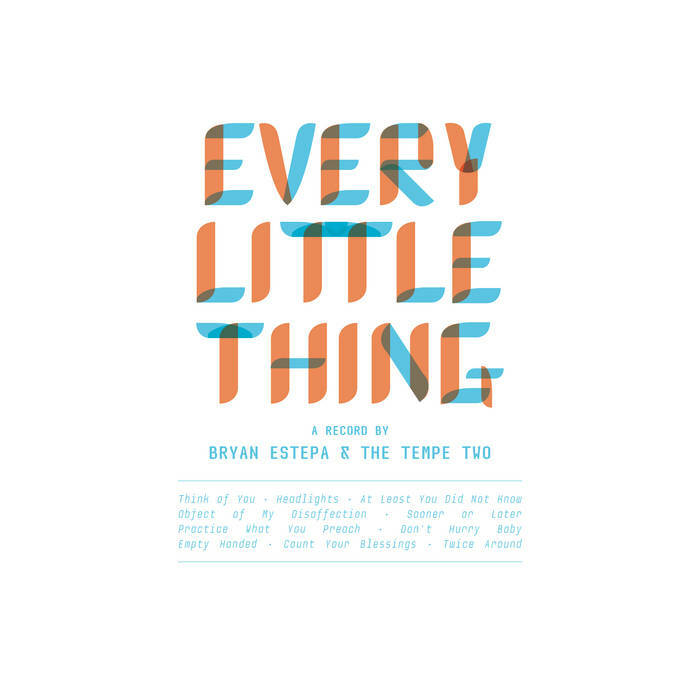 Bryan Estepa & The Tempe Two-Every Little Thing. A new Bryan Estepa record is invariably one of the highlights of the music year and with his new release 2016 is no exception to that rule. This time around Estepa is backed by "Tempe Two" but Every Little Thing is of a piece with his previous records: fine melodic pop/rock that owes as much to power pop as it does to Brian Wilson-styled California pop and roots rock/Americana (Australiana?). So whether it's the catchy first single "Object of My Disaffection" or the mid-tempo opening track "Think of You" or the lovely ballad "Sooner of Later", Estepa's ear for melody is always there. Speaking of Wilson, "Don't Hurry Baby" owes its title to a play on words of one of Wilson's most famous songs but is also an enjoyable pop song in its own right. Easily one of the year's best (again). 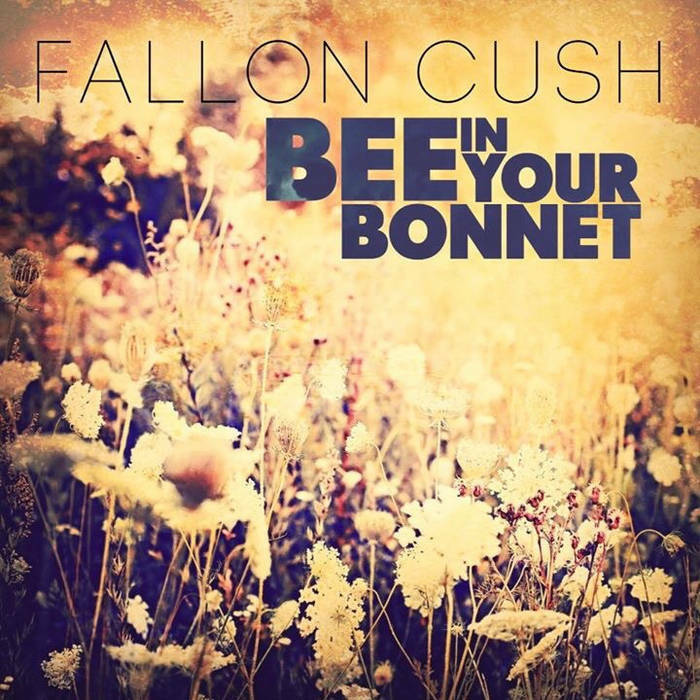 Fallon Cush-Bee in Your Bonnet. Fallon Cush has been on my year-end lists three times since 2011, but somehow I never managed to write a single word about them. That ends today with the latest full-length from Australian Steve Smith, who uses the Fallon Cush moniker. 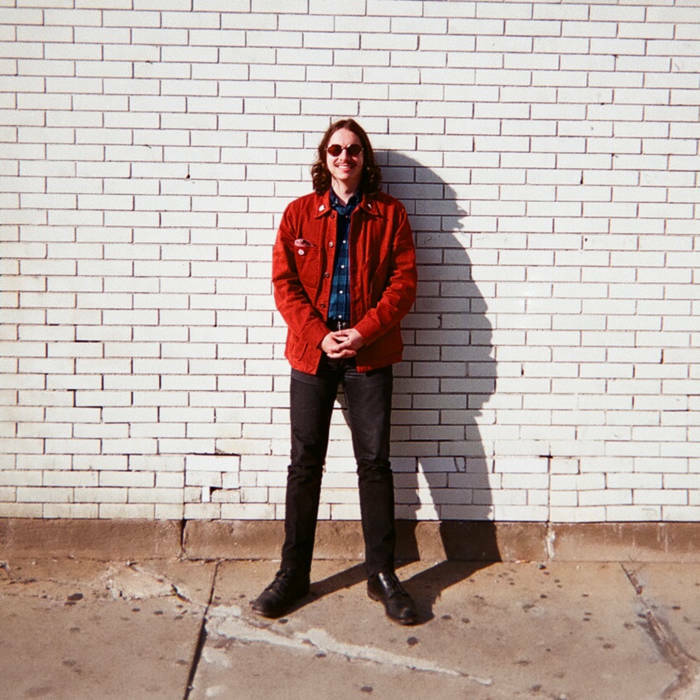 For those unfamiliar with his previous release, Smith's sound here is Teenage Fanclub meets the Gary Louris-led Jayhawks. Leadoff track "There's a Dark Side to That Moon" is a wonderful example of this, roots rock with a pop sensibility. "Less Your Near" and the rocking "Kings Ransom" are standouts, as is "Dorothy", a moody mid-tempo rocker that would sound at home on the new Jayhawks record. While I'd recommend you seek out the previous Fallon Cush releases, this one is clearly Smith's best and the place to start. 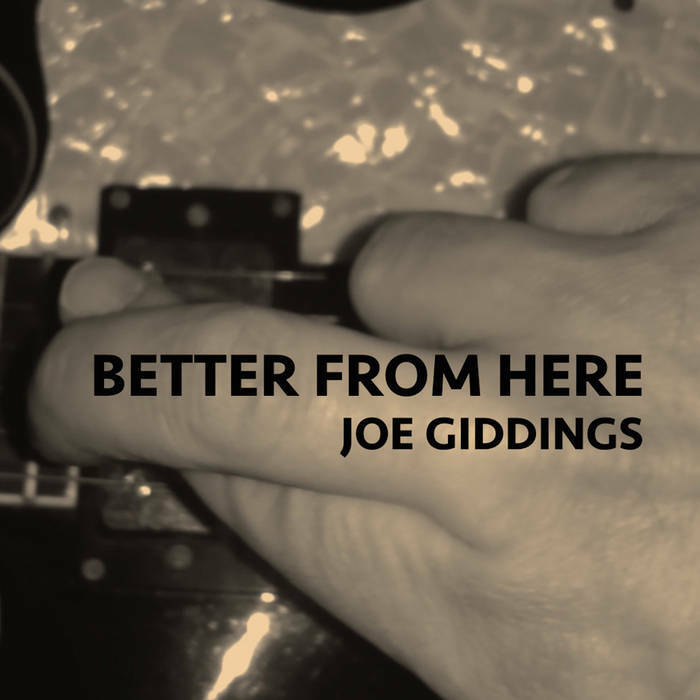 Joe Giddings-Better from Here. Now that you've heard today's Australian roots pop/rockers, it's time for some good old-fashioned American-style power pop and California's Joe Giddings is here to provide it for you. Giddings has been around for the better part of a couple of decades now, originally with Star Collector and with an early-2000s Not Lame album as The JTG Explosion under his belt, and lately he's been recording covers galore for the Theme Music group on Facebook. 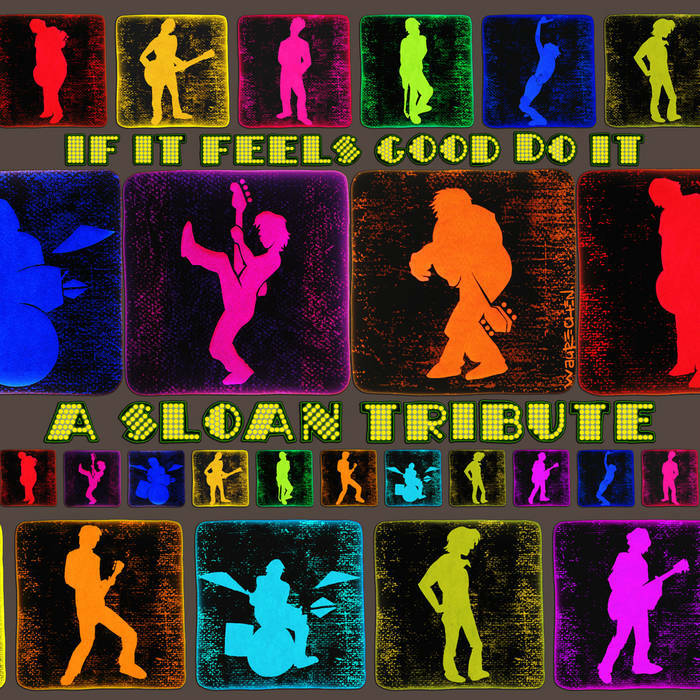 It was his covers on some recent tribute albums that caught my attention, and when I recognized his name in the new releases on Bandcamp, I jumped all over this straight-ahead power pop collection of original tunes. There's something cheeky about having your leadoff track be a rocker titled "Rock 'n' Roll" and the cheek continues with "Irrelevant", capturing the state of the independent musician trying to get by in an unfashionable genre in 2016 ("Cause 15 likes on Facebook can't be wrong") to a great melody. The title track, "Born Apart" and "Brand New Day" are also tracks that deserve rotation in whatever playlist you're currently working up. Power pop at its most pure. Cliff Hillis-Love Not War EP. If there's one word I associate with Cliff Hillis, it's "songcraft". Few artists today have the ability to write pure, perfect-sounding pop songs on a consistent basis, and Hillis always delivers the goods. His latest is an EP of seven pop gems, and the title track and first single might be the third or fourth best track on the EP even thought it could have been a Rupert Holmes-style hit in 1979. But the straight-up power pop of "A Boy Downtown" and "Suicide Doors" shines even brighter, and "Mayor of Midnight" is the kind of mid-tempo track with a smooth, effortless melody that recalls other recent Hillis favorites like "Keep the Blue Skies" and "Elevator". It's going to take something very, very special to keep Love Not War from being my #1 EP of 2016 come year's end. Radio Days-Back in the Day. My favorite Italian power pop band is back with their fourth full-length and first since 2013's Get Some Action as Dario Persi & the boys continue to bring us power pop in the vein of the Paul Collins Beat, The Rubinoos (with whom they released a split EP in 2014) and The Knack. Opener "Why Don't You Love Me Anymore" has that late-60s, Nuggets-era feel to it and "Rock'n'Roll Night" sounds just like you think it does while "Your Words" sounds like The Beatles meet The Kinks. And the closer "Betta (Are You Feeling Better)" might even be the best thing here, capturing their 60s influences and perhaps surpassing them for a moment. 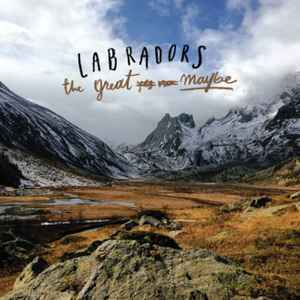 Labradors-The Great Maybe. 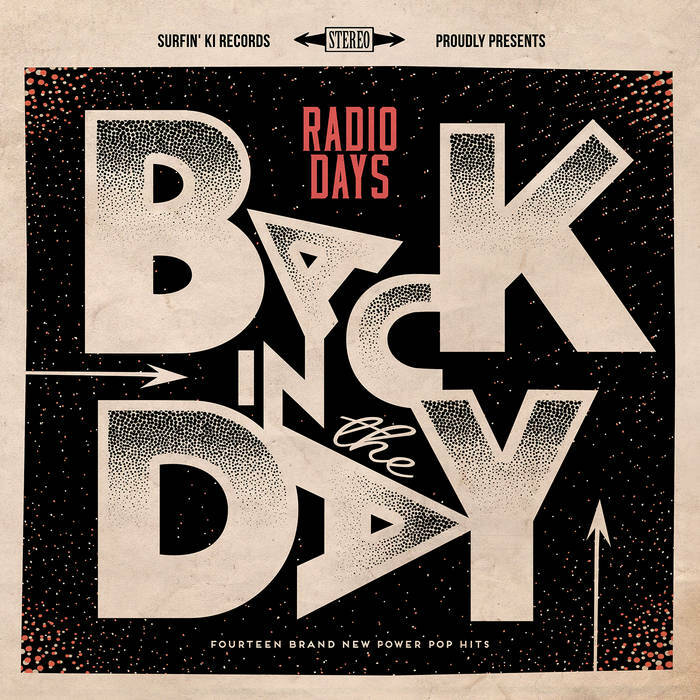 If Radio Days is my favorite Italian band, these guys just might be my second-favorite. Following up on the promise of last year's Hate Summer EP, The Great Maybe is a fine collection of harder-rocking power pop in the vein of Superdrag, as evidenced by the one-two punch of the title track and "Jasmine". They have a facility with the less-rocking tunes as well, with the lovely opening ballad "I Won't Let Anyone Hurt You" and the midtempo "Terrible Friend" of particular note. And for a band that seems named after a dog breed, they give us an ode to cats on "Paws". Pet sounds, indeed. 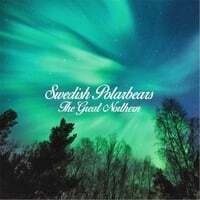 Swedish Polarbears-The Great Northern. Swedish Polarbears are back! You can be forgiven for not being excited as me, but these guys had an EP of sorts back in 2007 that I wrote about here, and were never really heard from again until recently when they released a couple of singles in advance of their long-awaited (by me at least) full-length debut. To say these guys (who are in fact Swedish) are influenced by Teenage Fanclub might be an understatement as one of those 2007 tracks was titled "Norman Blake", and they also tip their sonic hat to countrymen The Tangerines and The Merrymakers. So you get melodic gems like "Sleeping/Dancing", the jangly "Sun of a Gun" and "Rewinder". And "Stay Young" does indeed sound like a lost Teenage Fanclub track. How Swede it is. 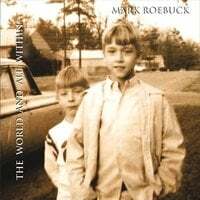 Mark Roebuck-The World and All Within. Virginia's Mark Roebuck has been kicking around the power pop scene since the 1980s, in bands such as The Deal and Big Cirle, and releasing some solo albums. 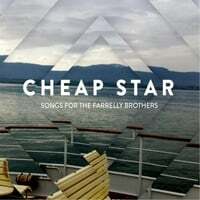 (He also recorded an acoustic folk-rock album with fellow-at-the-time bartender Dave Matthews in 1989 as Tribe of Heaven) His latest finally brings him to my pages, and it's a wonderful collection of Byrds/Big Star/Badfinger-styled pop. "One More Fall" opens the album in fine fashion with some Byrdsian flair, and "Billboard Blue" follows in the same vein. 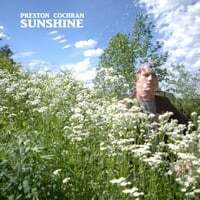 Other tracks of note include "King William County's the Place" which has a British-sounding rustic-era Kinks feel, the lovely ballad "Holden", and the rocking "God is a Gun". So if you haven't caught up with Mark Roebuck in his many musical incarnations over the years, this is as good a time as any.